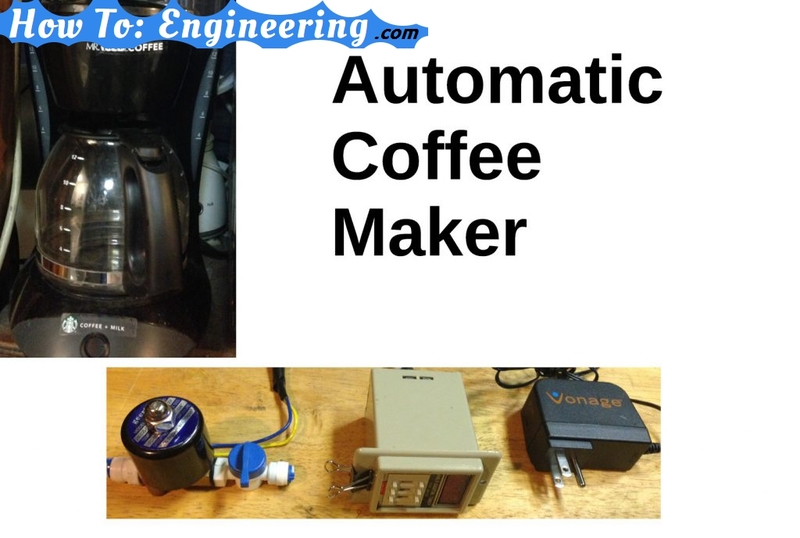 I made this automatic coffee maker a few years ago, and now I am finally writing an article about this project. Here is a picture of my current setup. 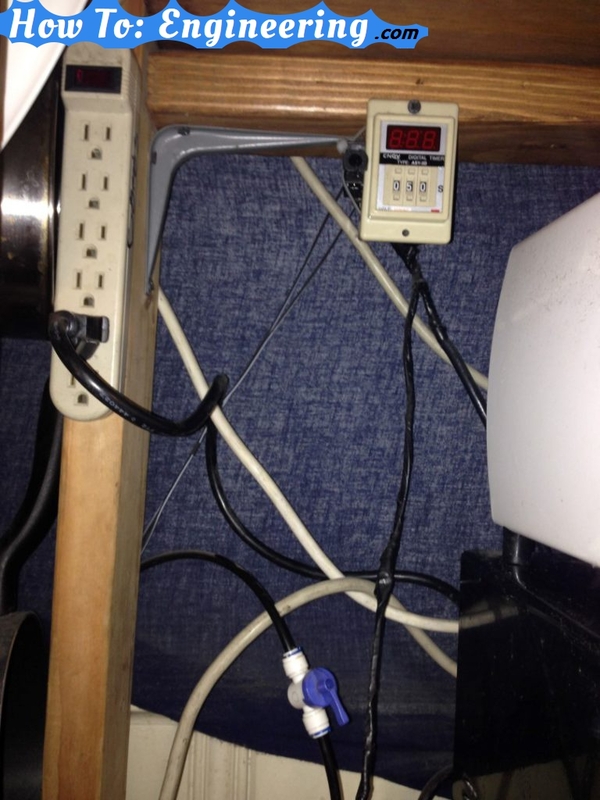 The top has the power strip. I use this to turn on and off the coffee maker and the timer at the same time. The goal is – keep the power safely up above, and the water below. Here is a picture of the water hose from my RO water filter to a shut off valve. This valve is here if I need to replace the solenoid, or there is a leak. After that the hose goes into the solenoid, then to the coffee maker. 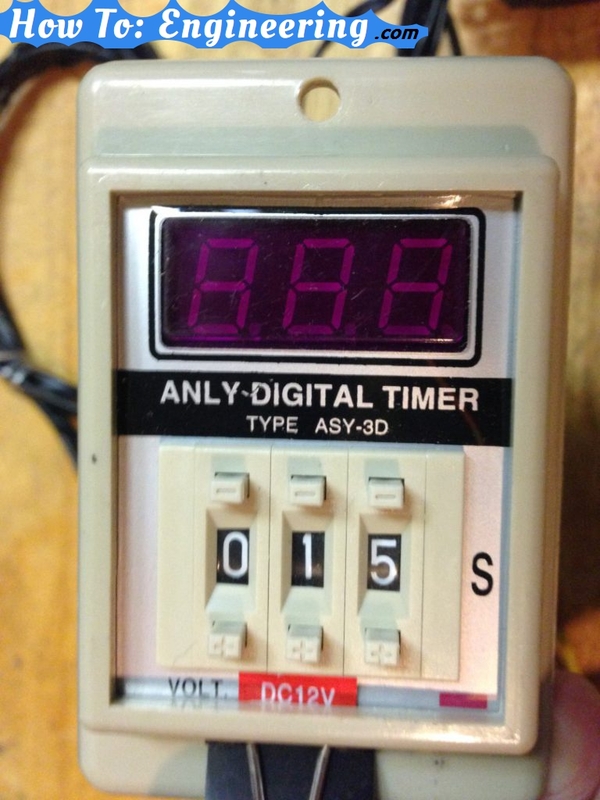 Here is the timer. I set the seconds I want the water to flow for. I set mine to 50 seconds for about 8 cups of coffee. For my connections on the back of the timer. I removed the pins from a computer power supply connector. 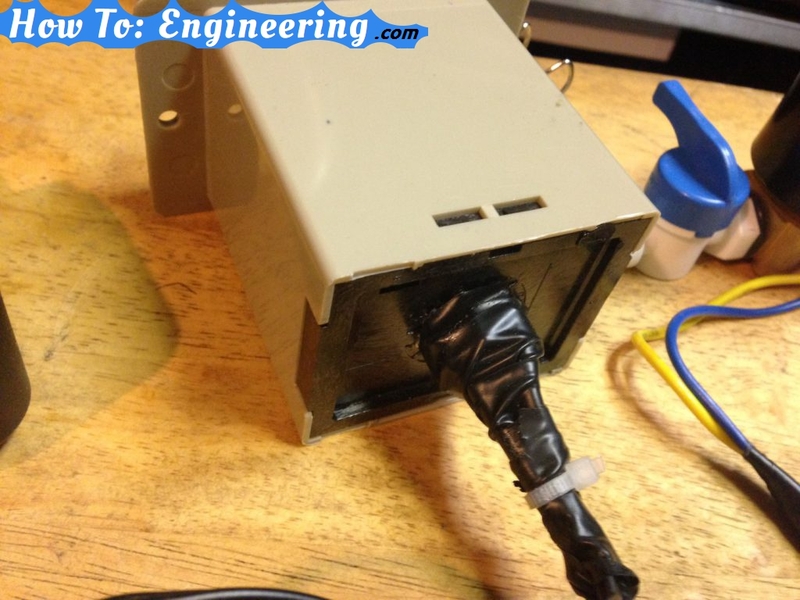 Then used those with heat shrink on them to connect the pins on the back of the timer. 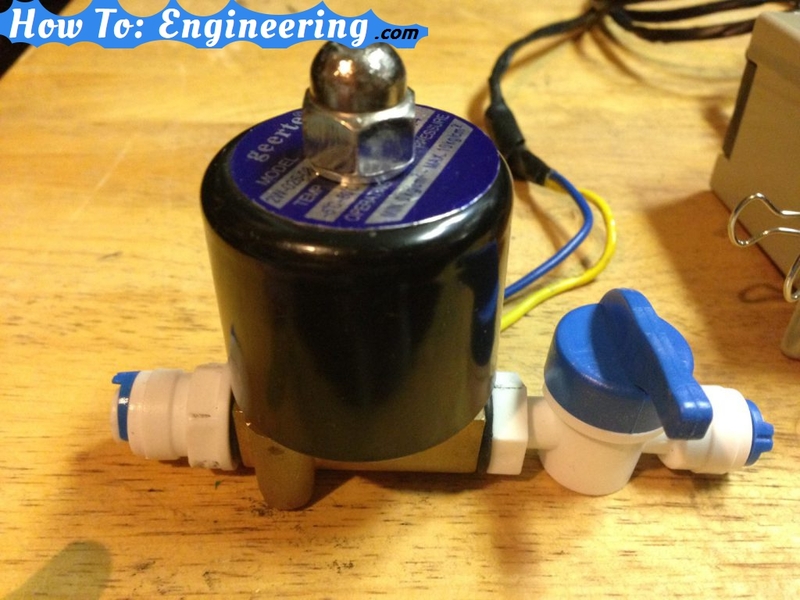 The solenoid I used is a water solenoid with 1/4″ adapters added. 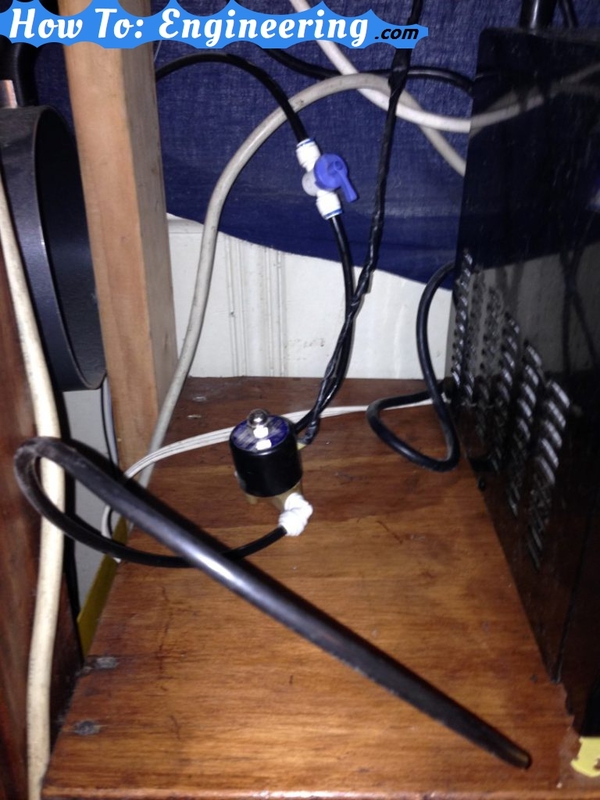 See a video of it in action!